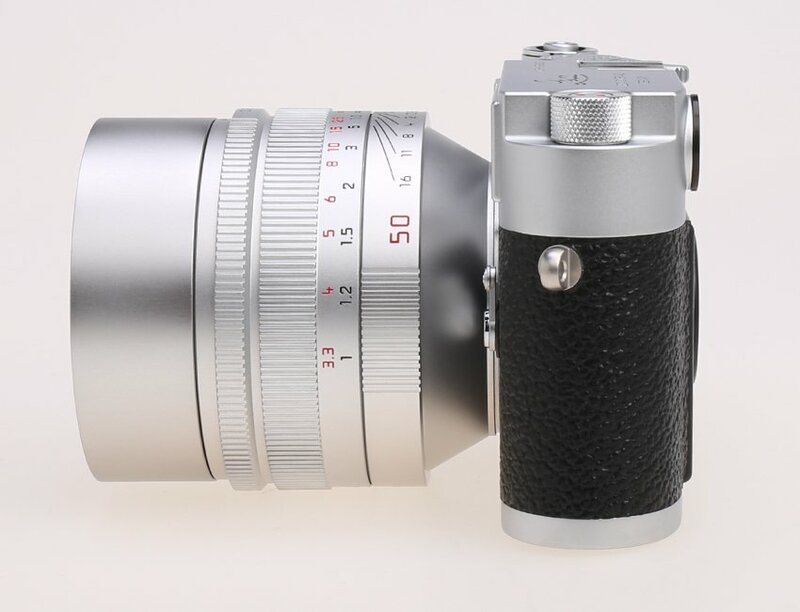 The M3-P is an analog Leica MP in silver chrome finish with vulcanite cladding and top cover in the vintage Leica M3 style. 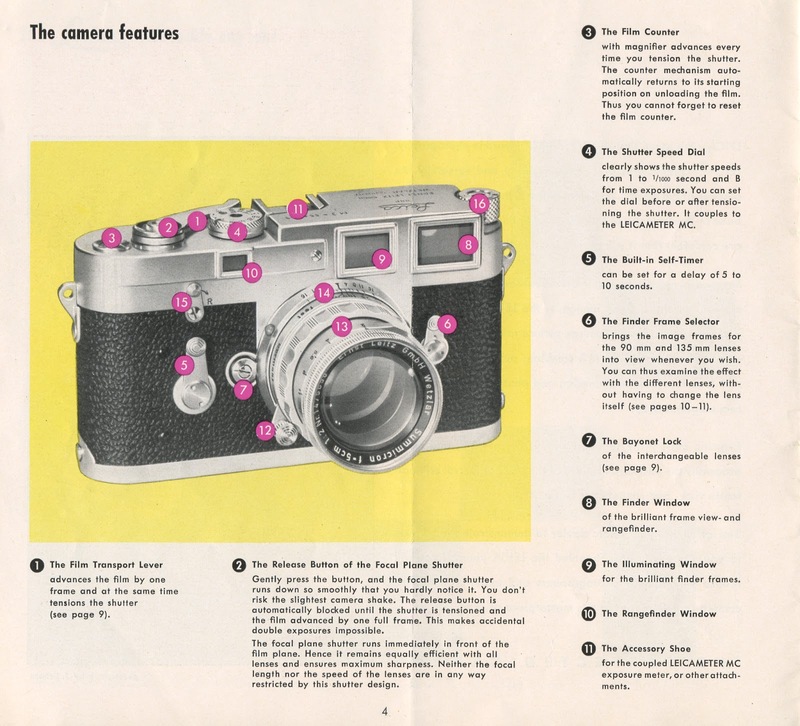 Each camera has a special edition number on the hot shoe. 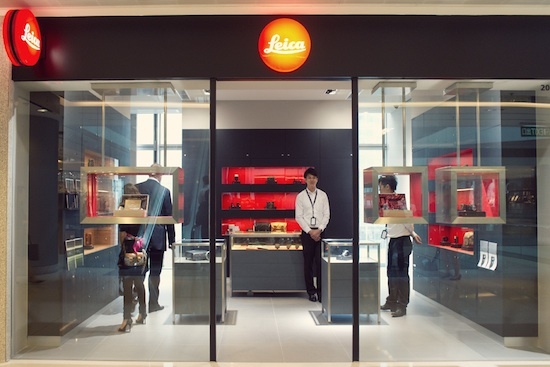 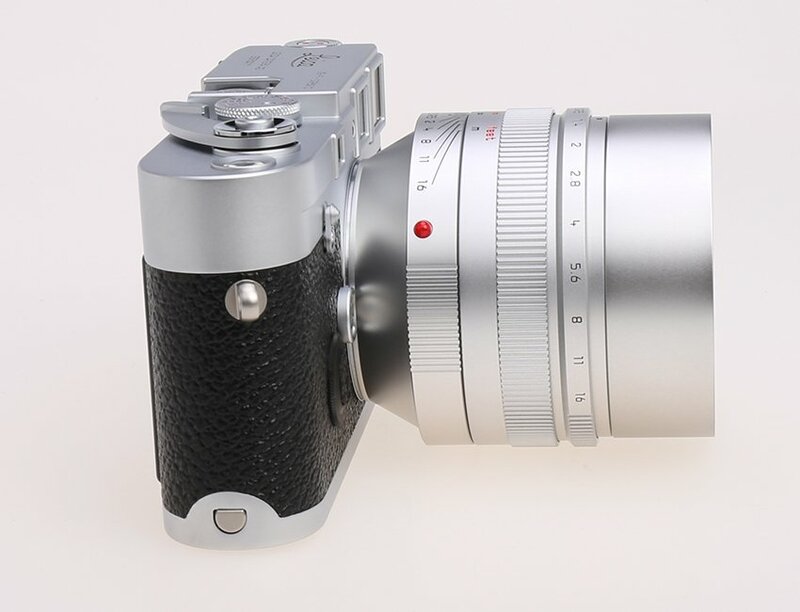 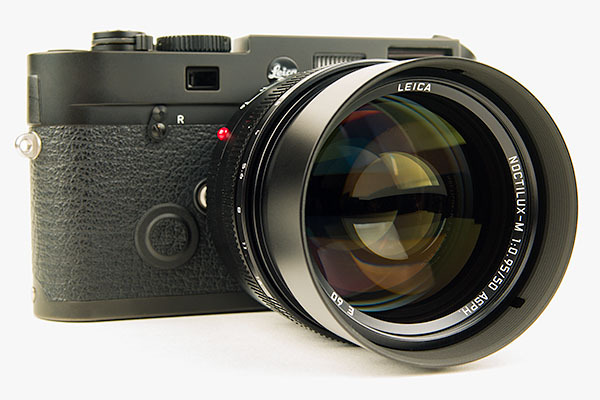 Leica threw in, for free, a Leica Noctilux-M 50mm f/0.95 ASPH Lens in silver anodized finish when you bought the camera. 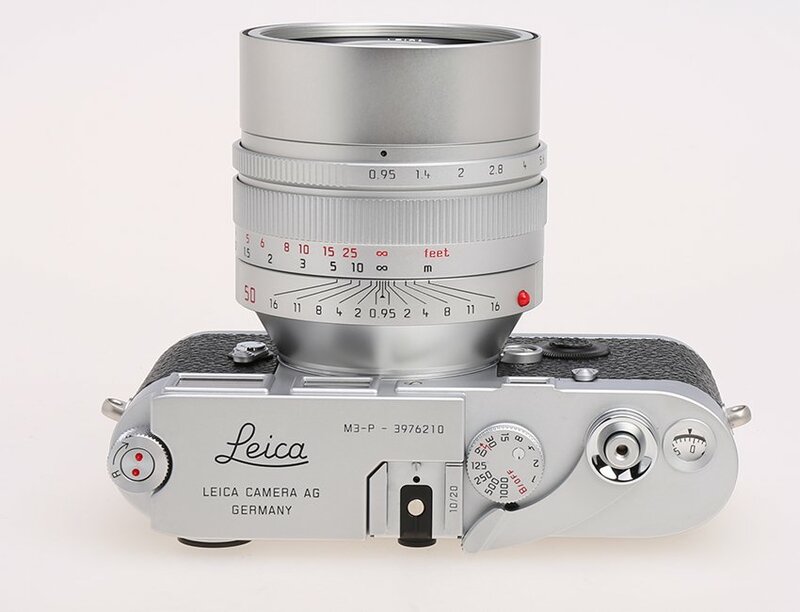 I hate Leica “Special Editions” because, as a general rule, they’re tacky and stupid and appeal to vulgar people. 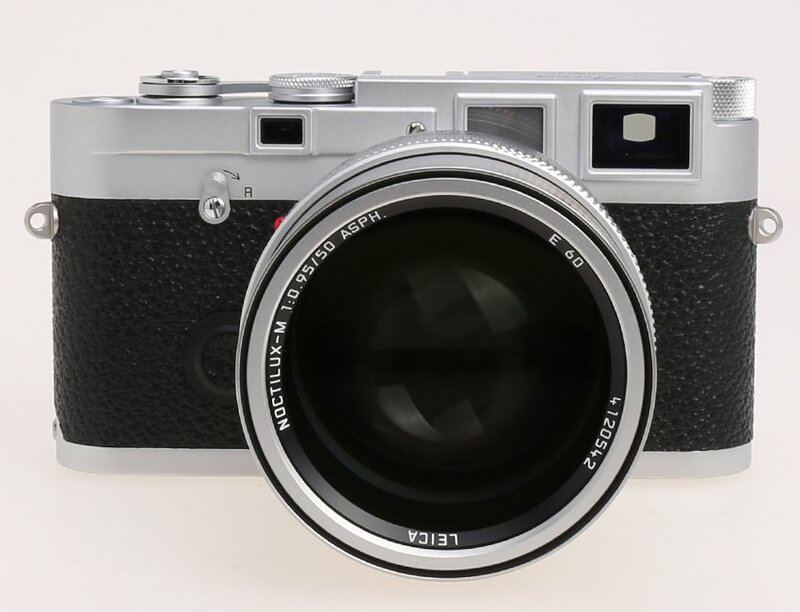 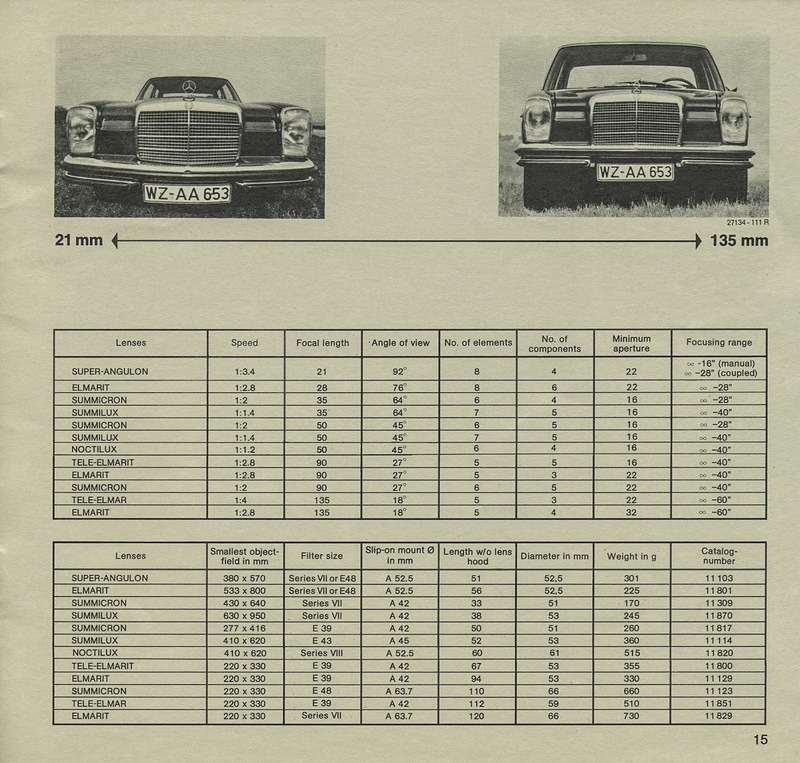 I expect the usual suspects – Lenny Kravitz, Seal, a couple of members of the Saudi royal family, a chinese billionaire – all own one of these, and none of them have ever had a real roll of film run through them. 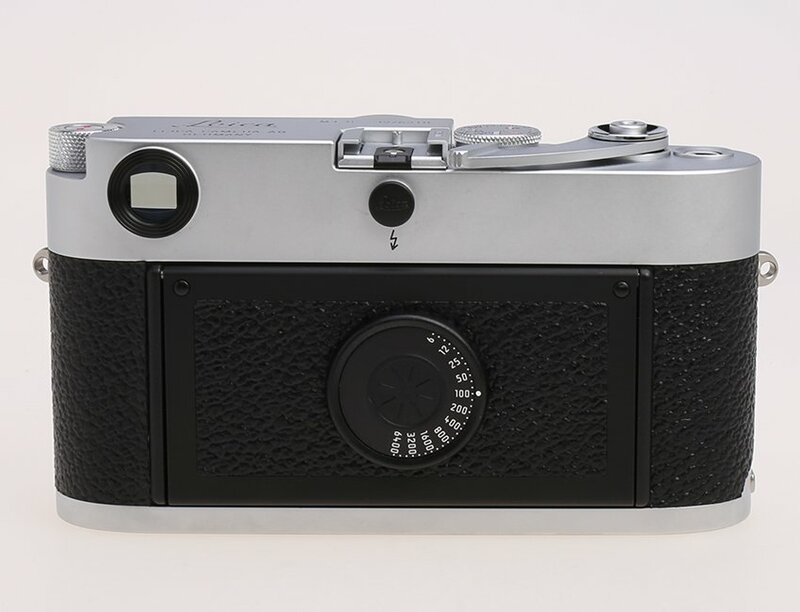 But I’ll make an exception for this one; it’s simple and minimalist without the usual “Sultan of the Universe” engravings. 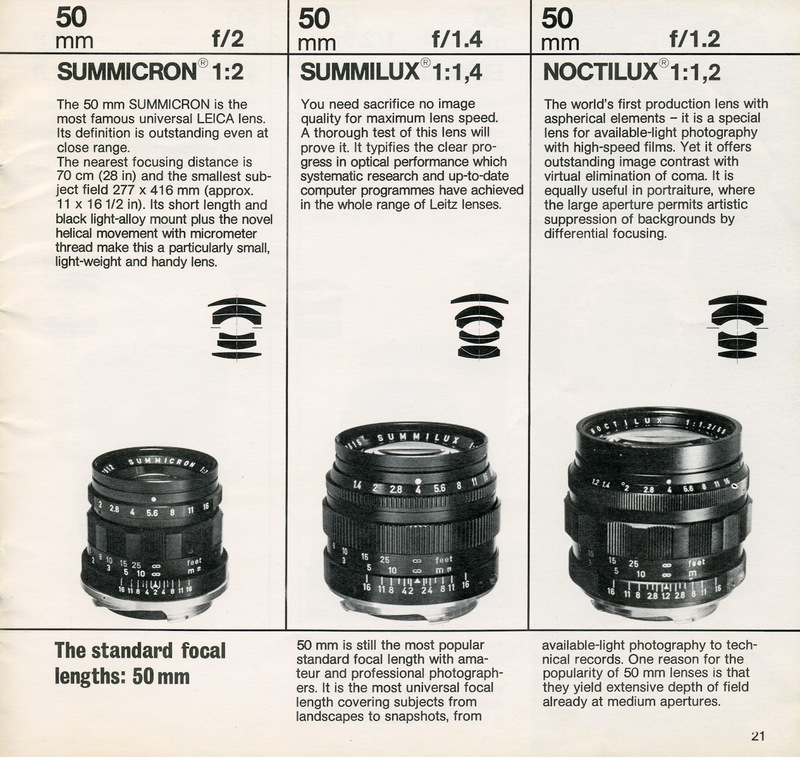 And that Noctilux sure looks pretty on it. 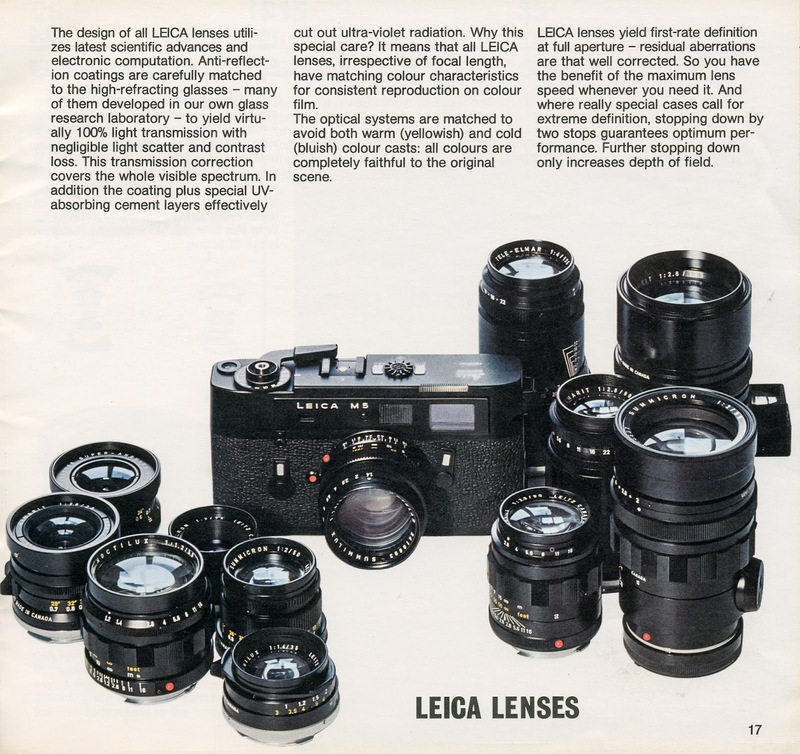 This entry was posted in Collectible Leicas, Leica Film camera, Leica M3 and tagged Leica M3-P, Noctilux on April 19, 2015 by Leicaphila. 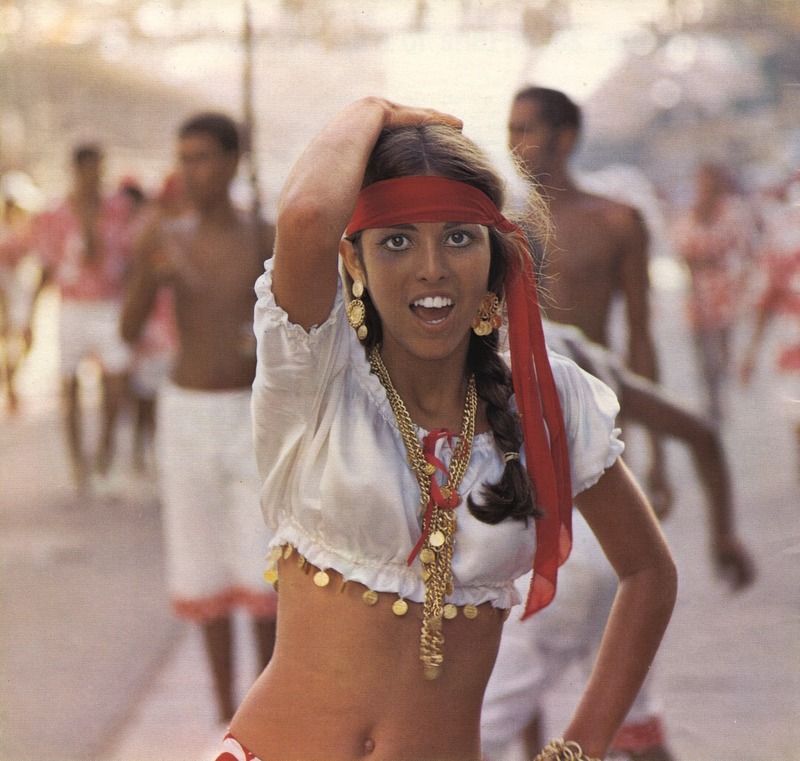 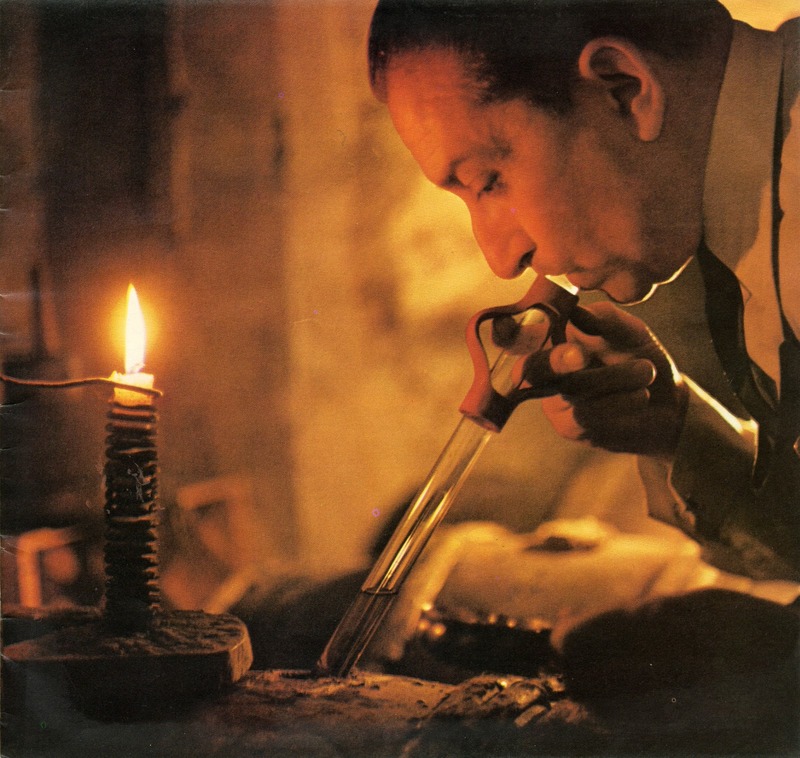 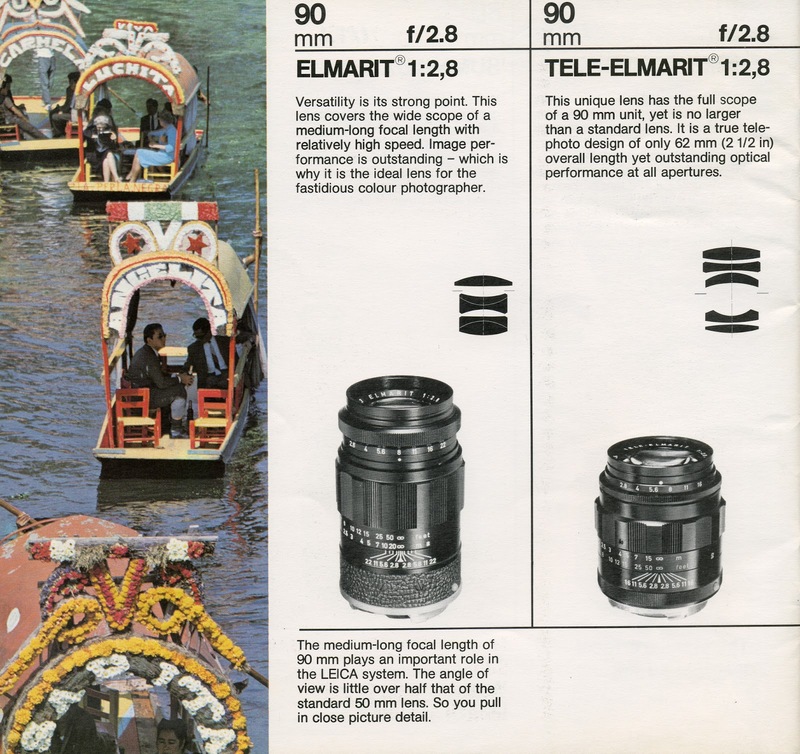 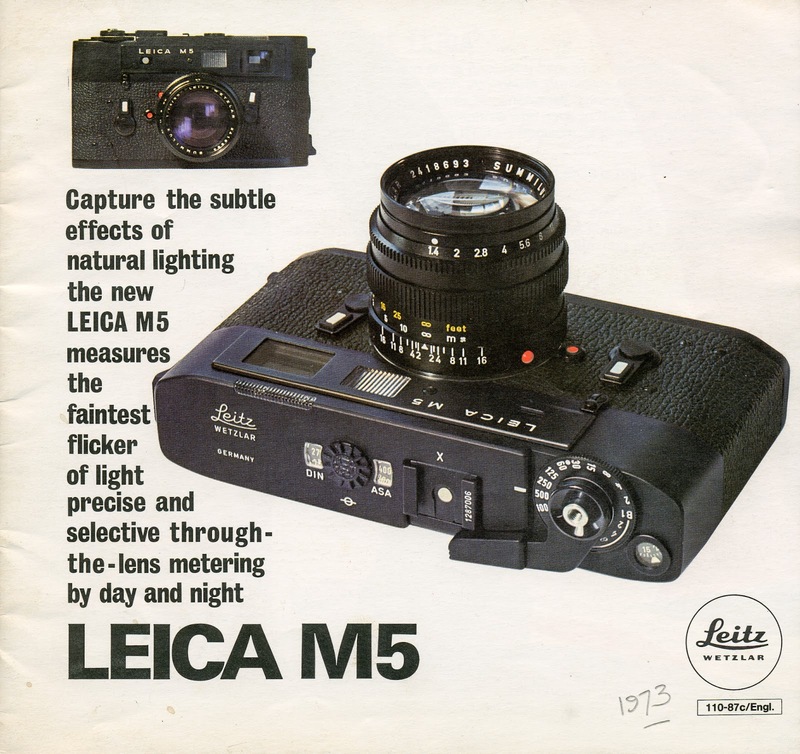 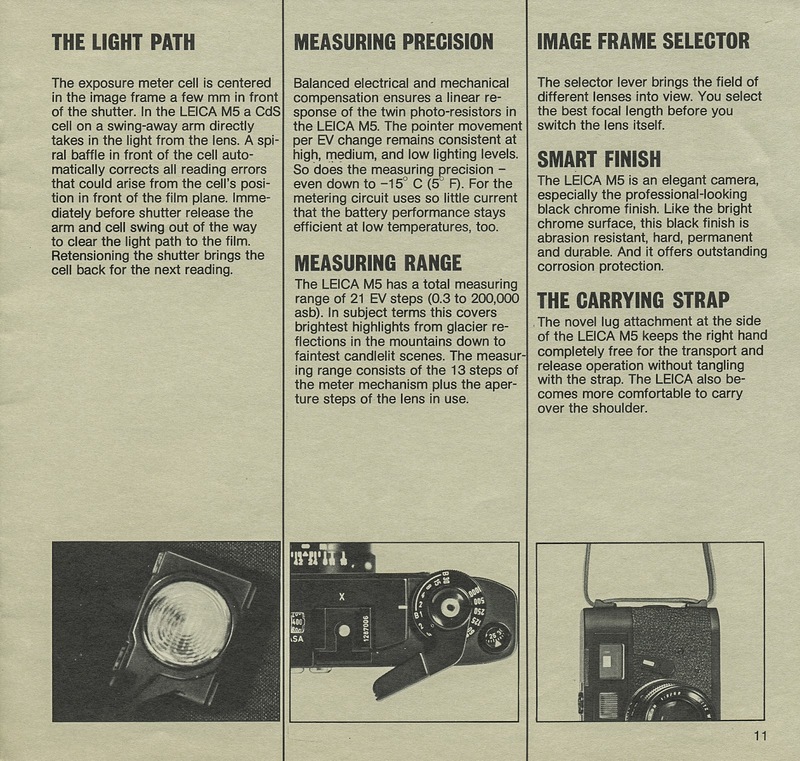 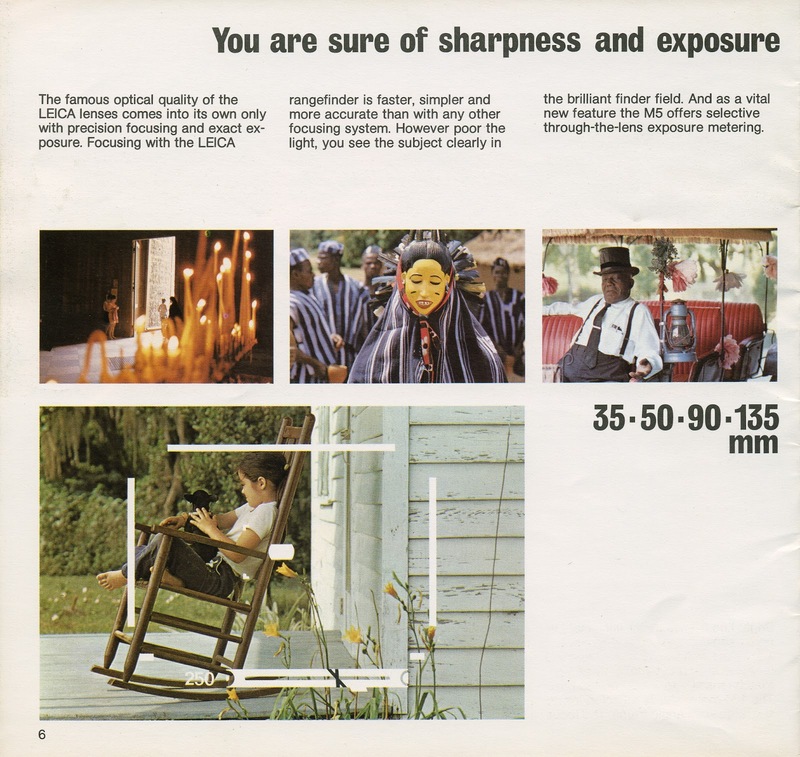 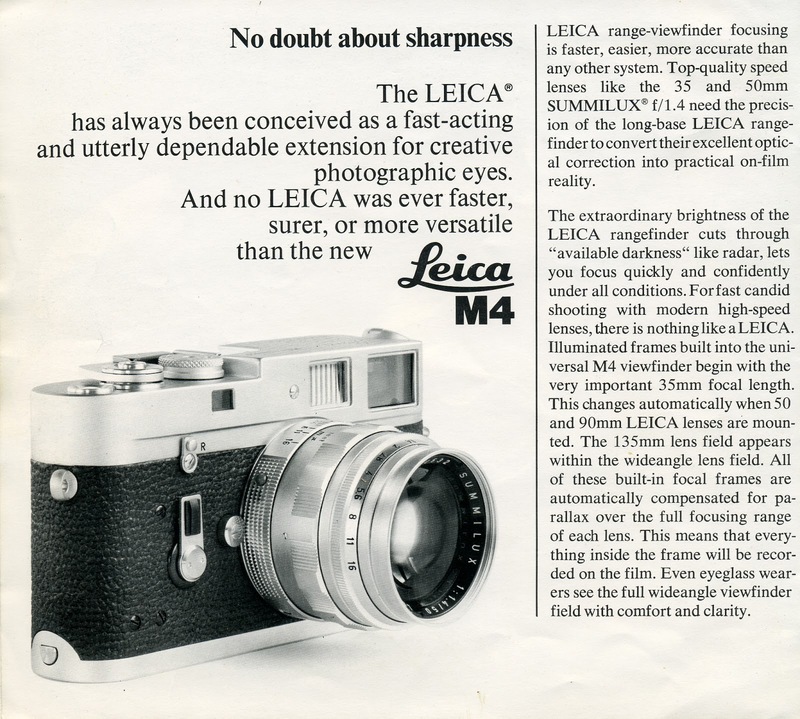 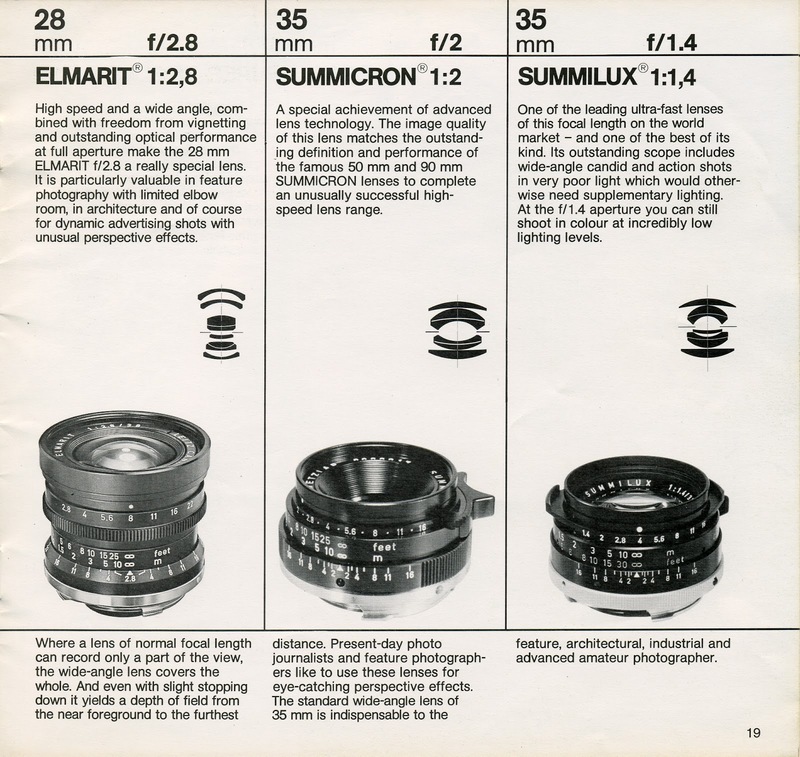 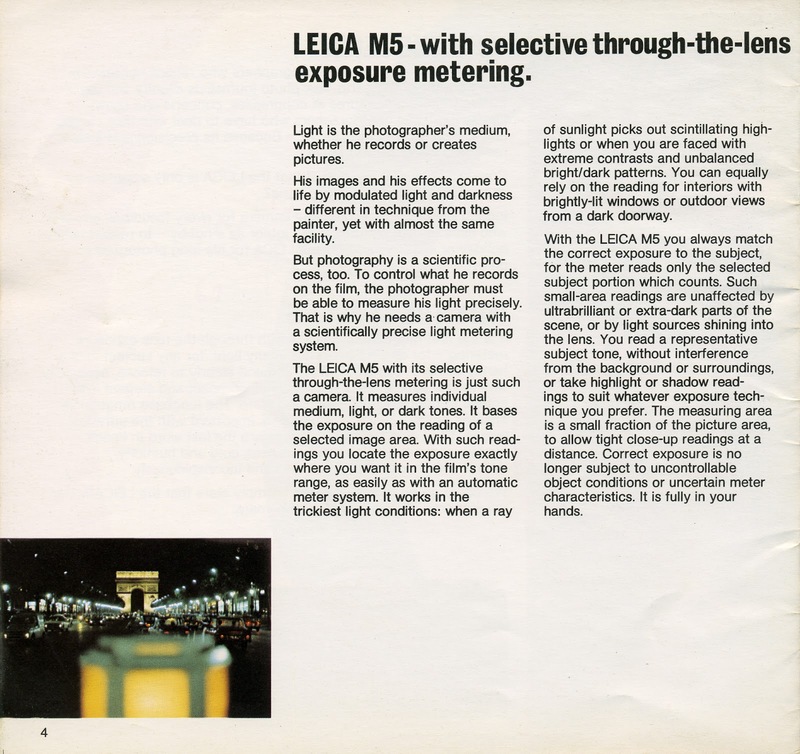 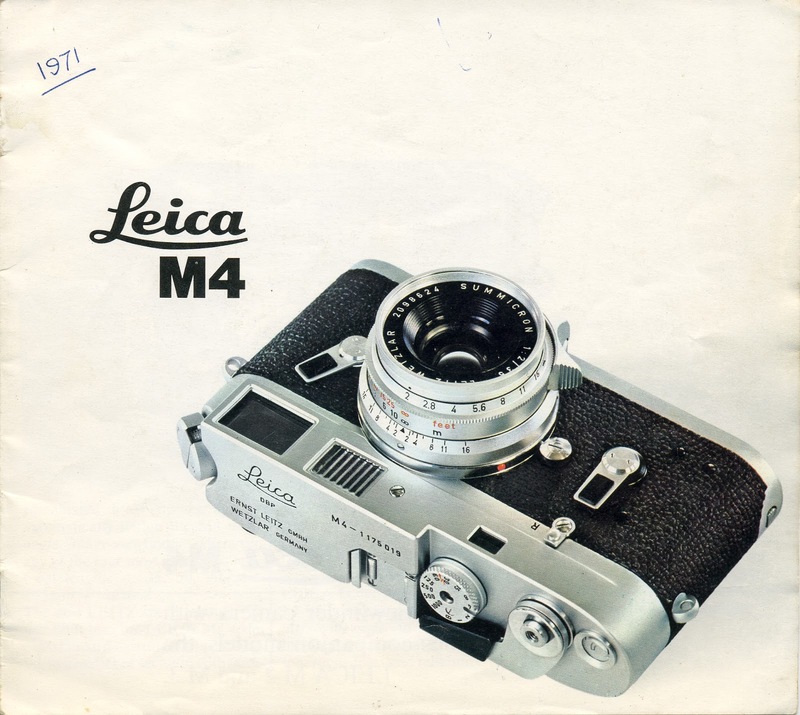 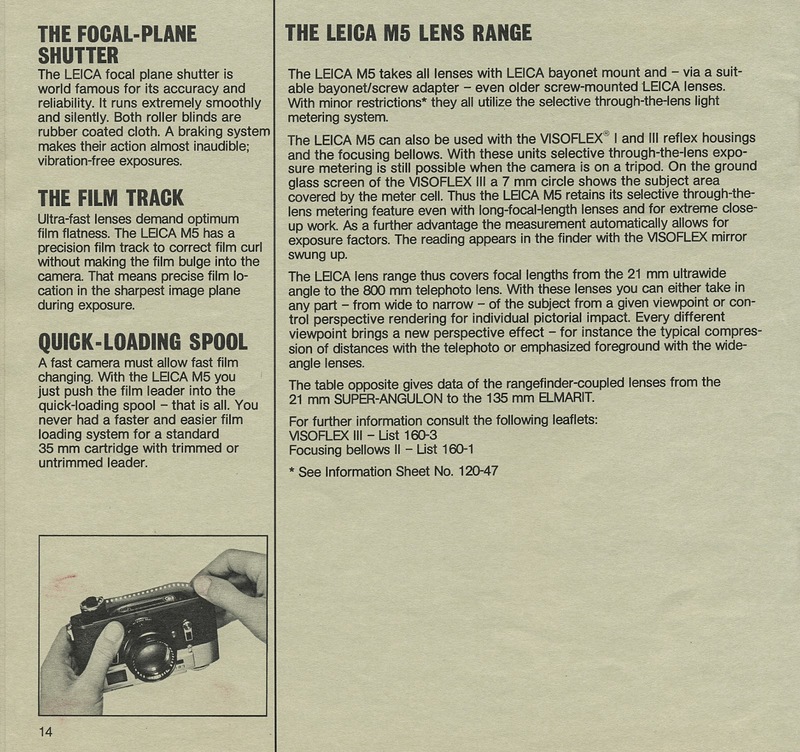 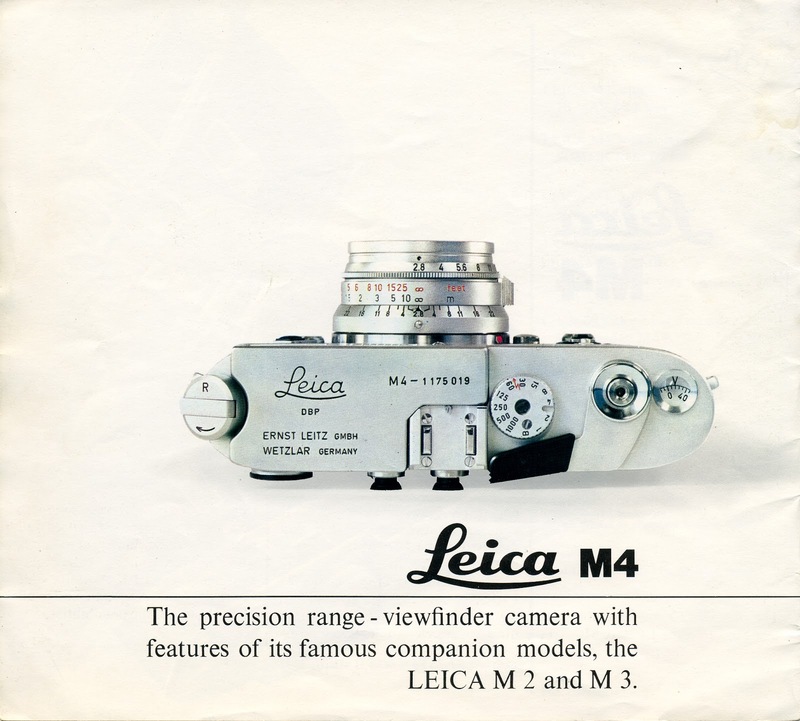 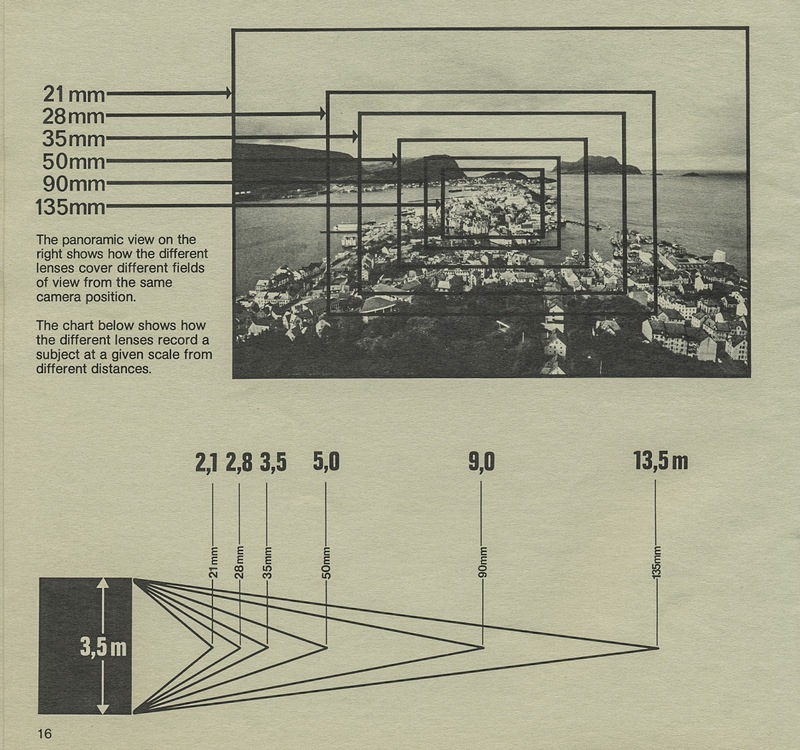 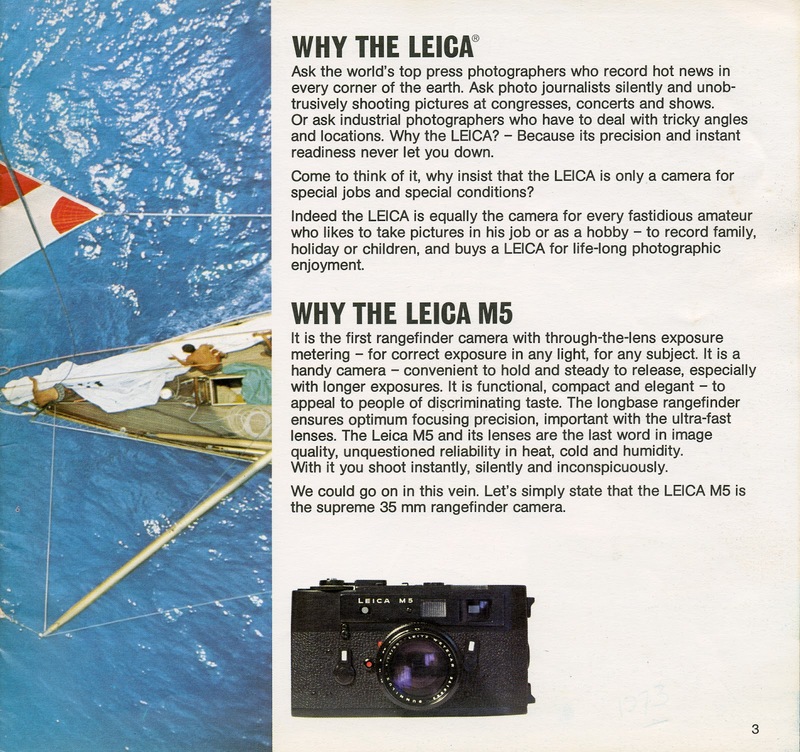 This entry was posted in Film photography, Leica Advertisements, Leica Film camera, Leica M4 and tagged Elmarit, Leica M, Leica M4, Leica M4 Brochure, Noctilux, Summicron, Summilux, Tele-Elmar, Tele-Elmarit on December 24, 2014 by Leicaphila. 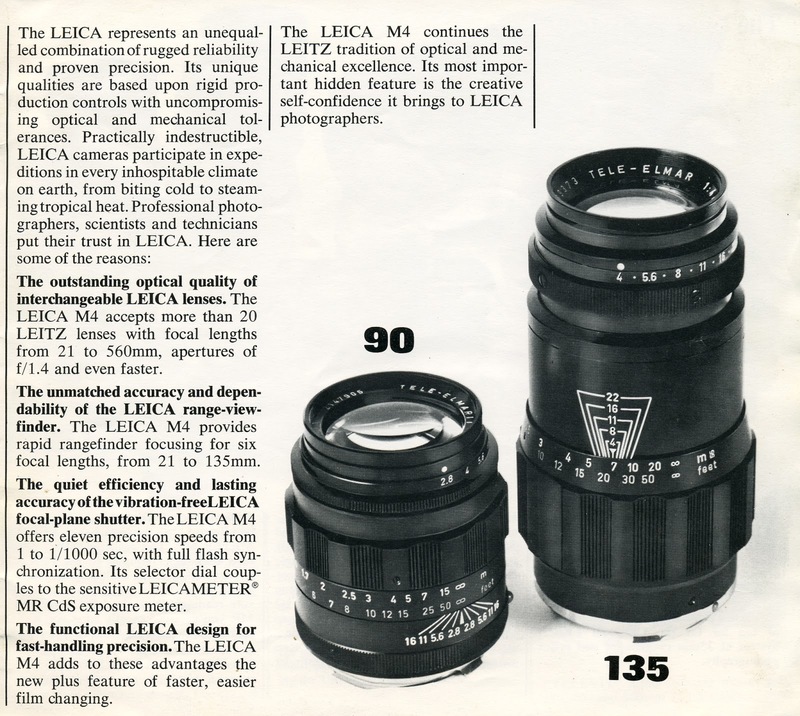 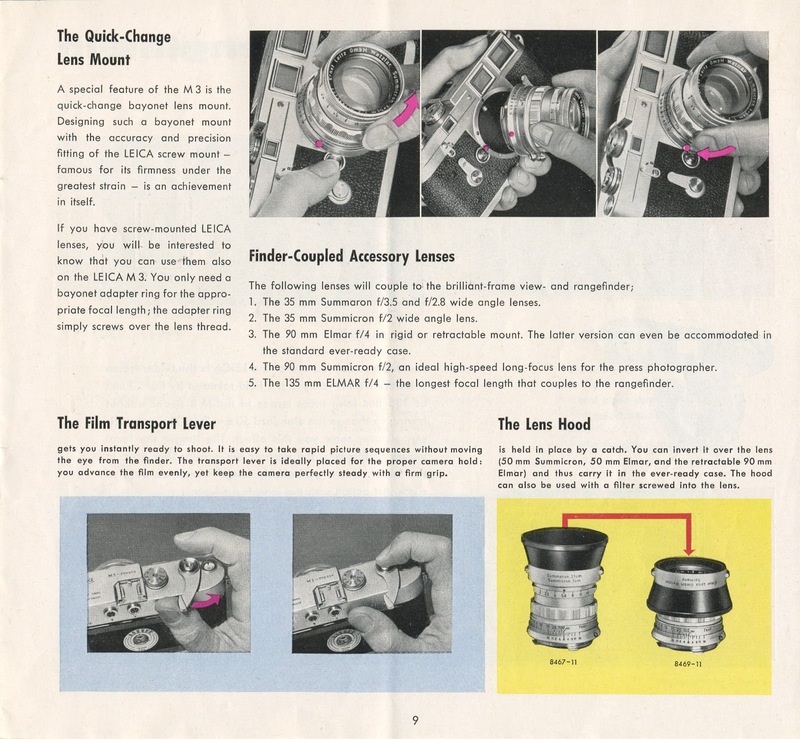 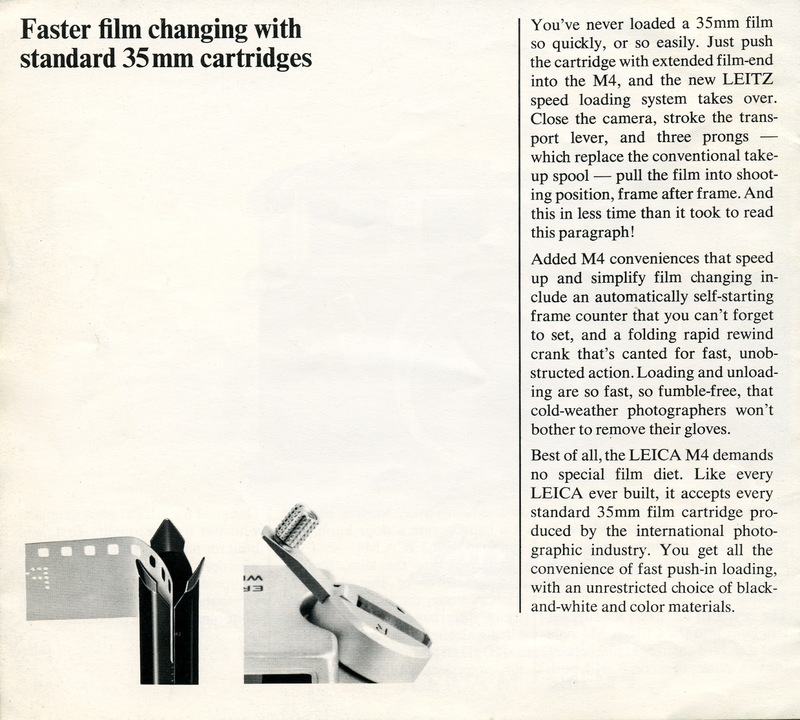 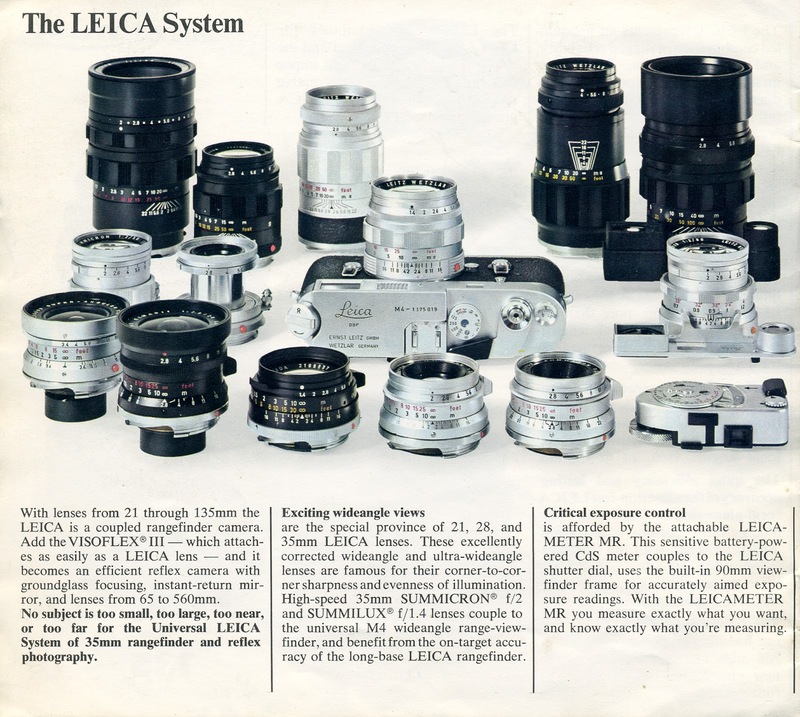 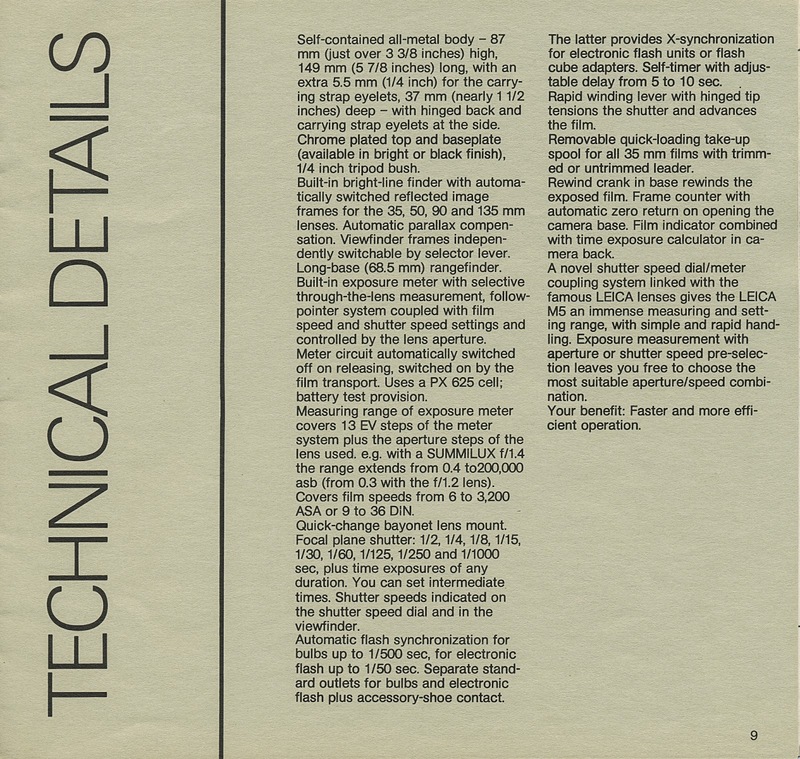 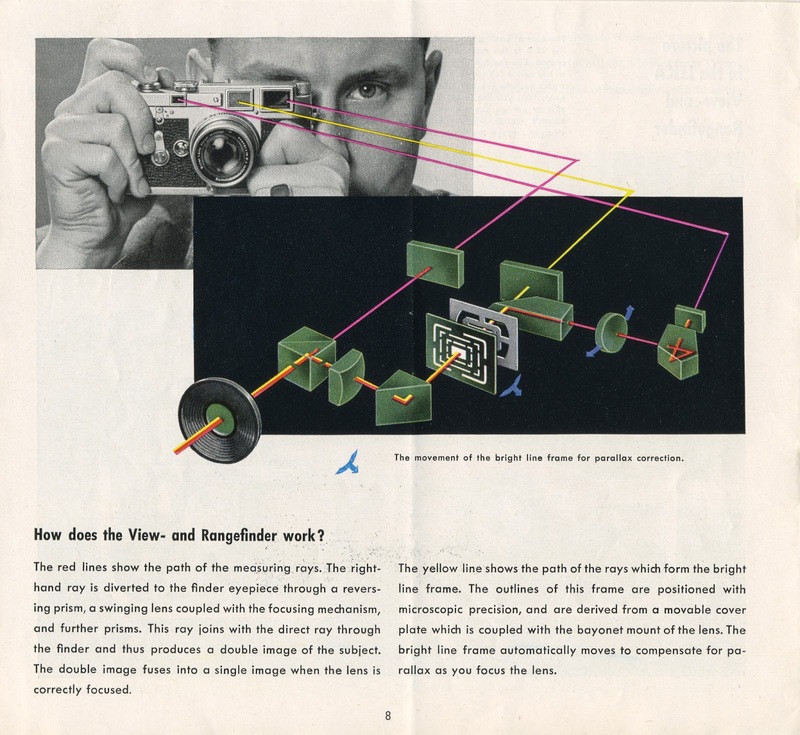 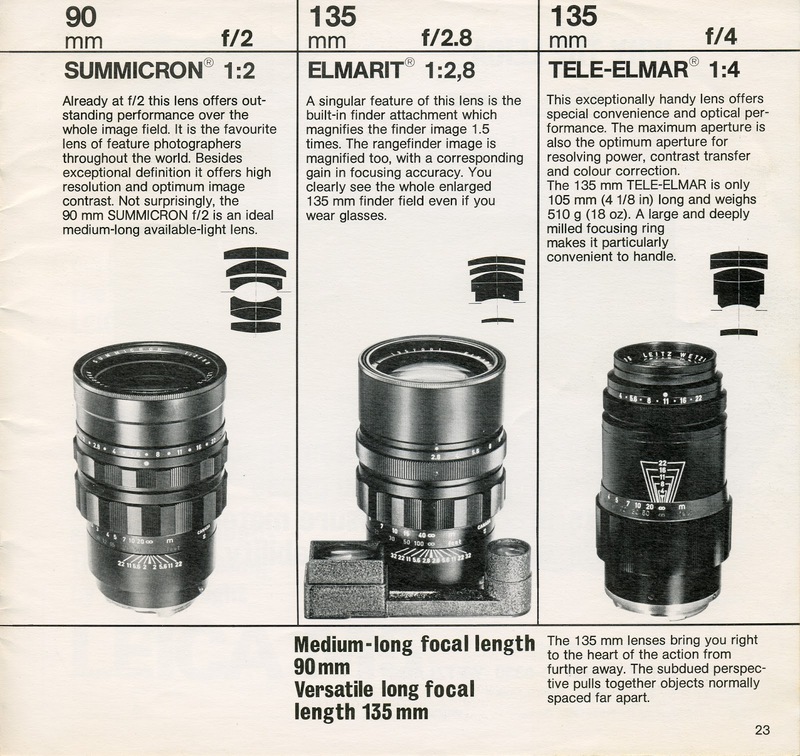 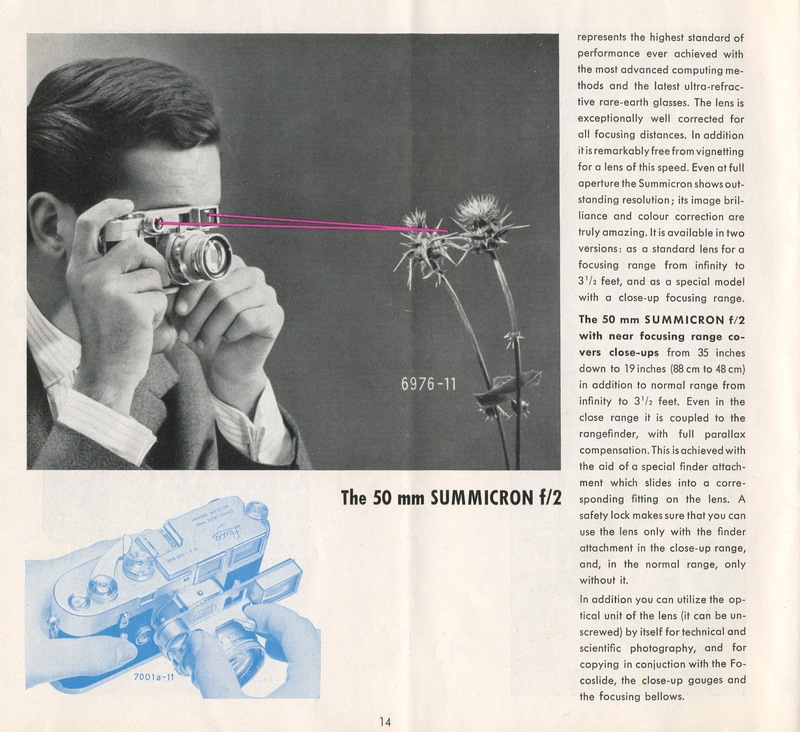 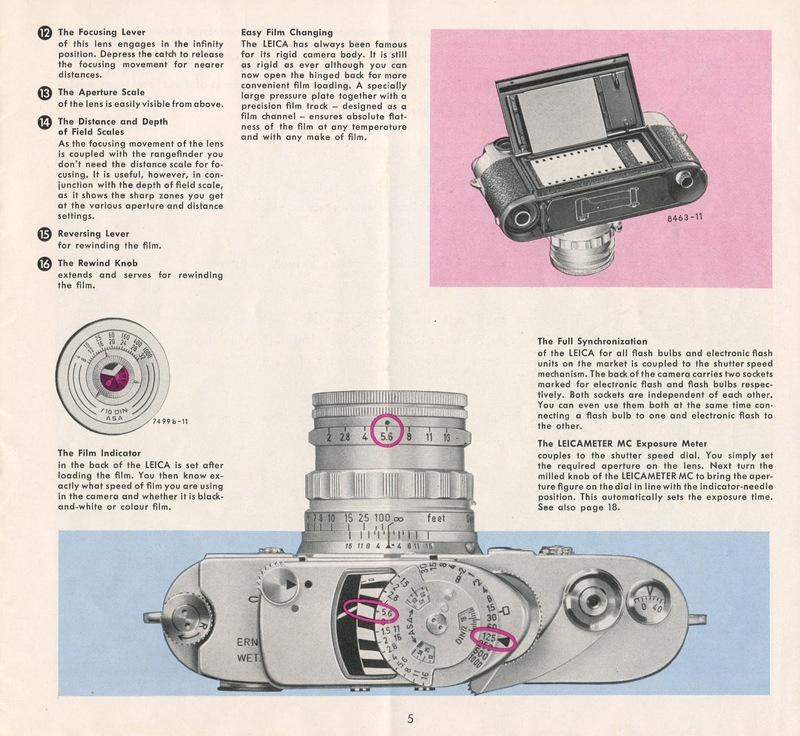 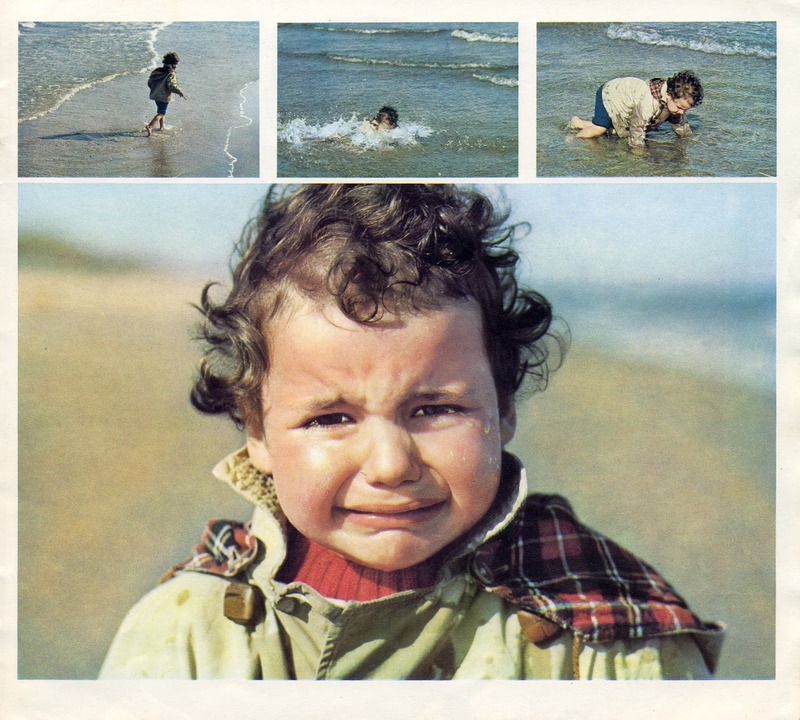 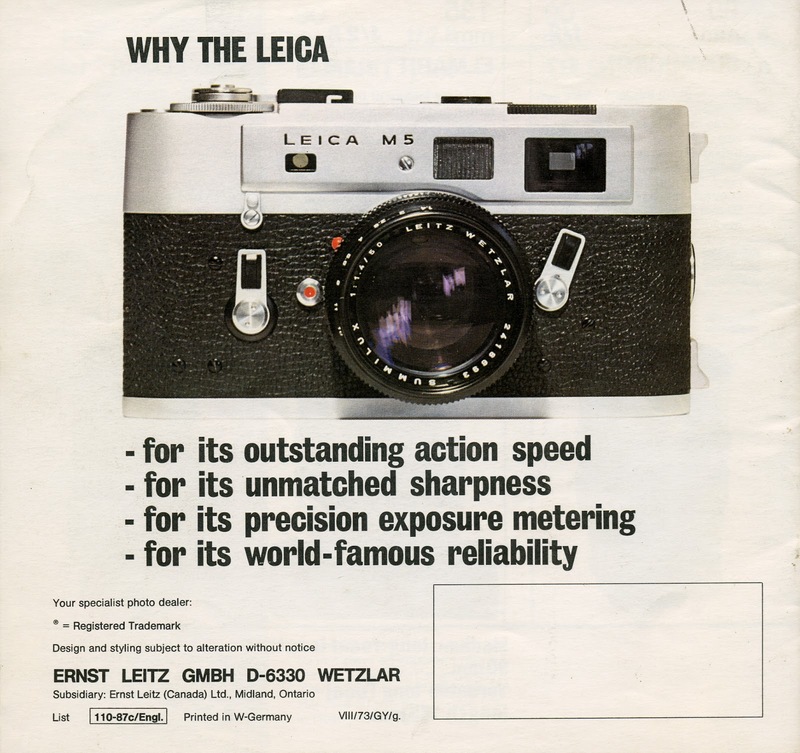 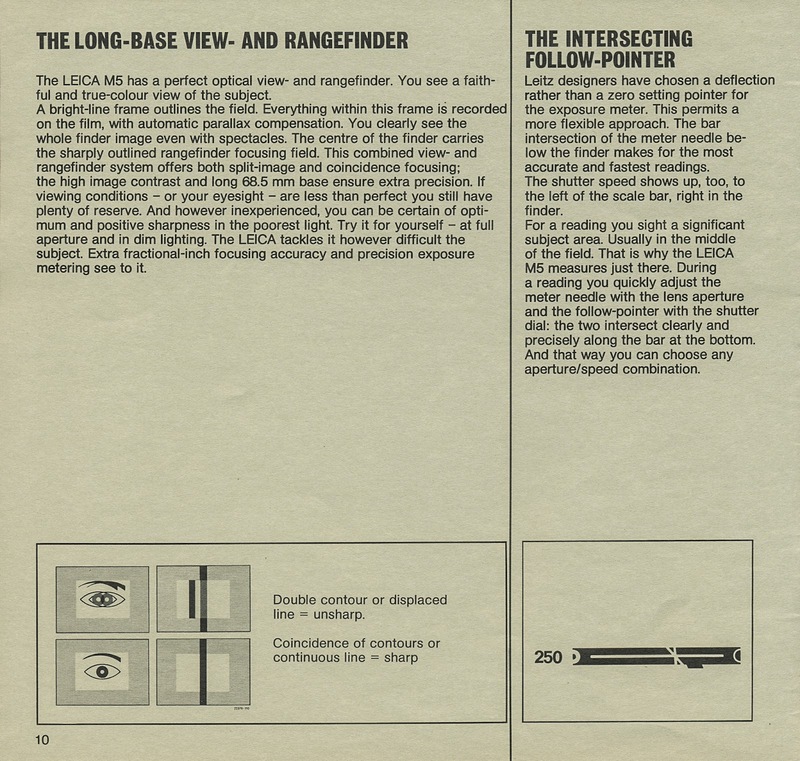 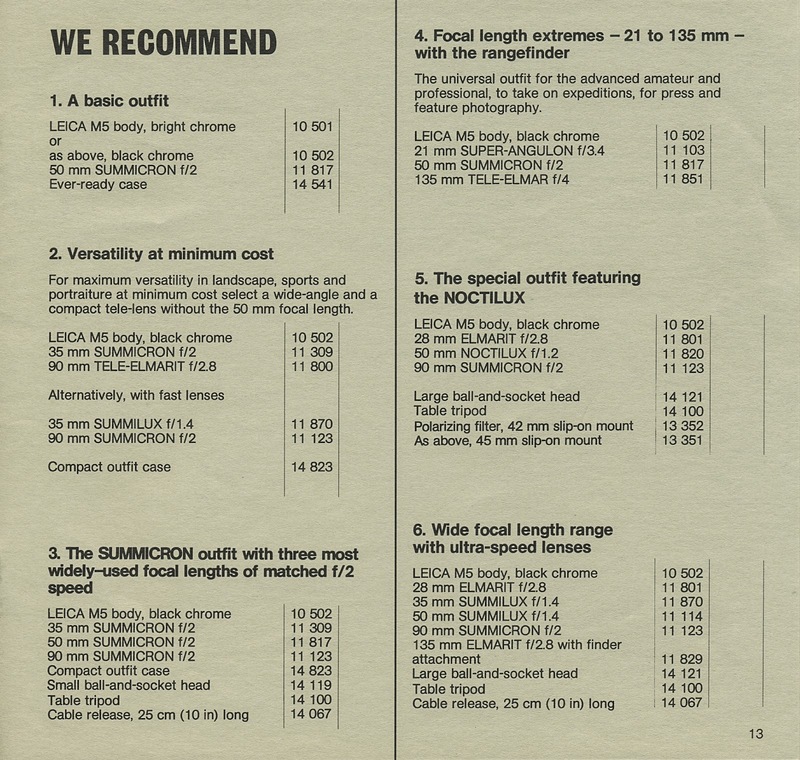 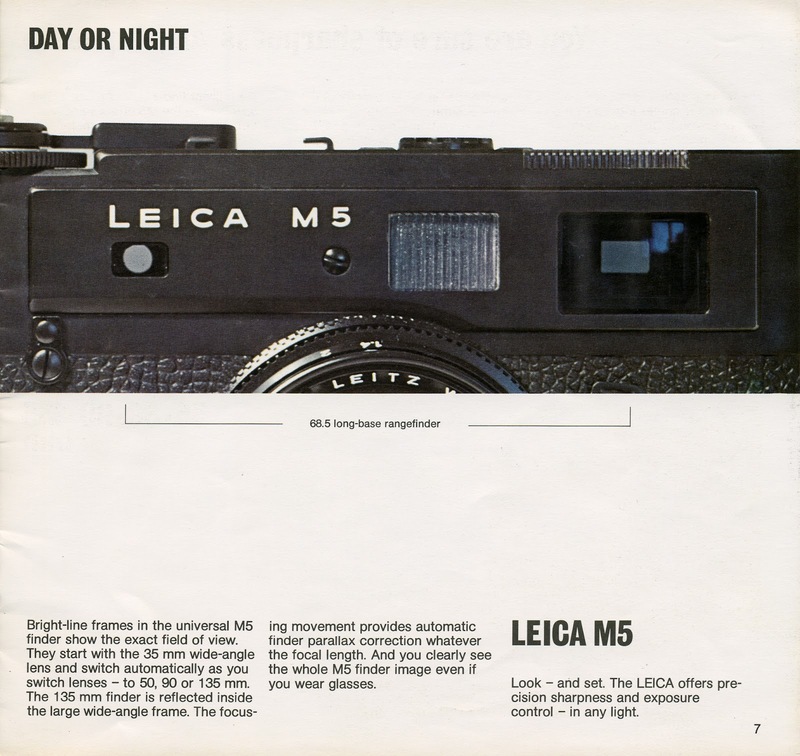 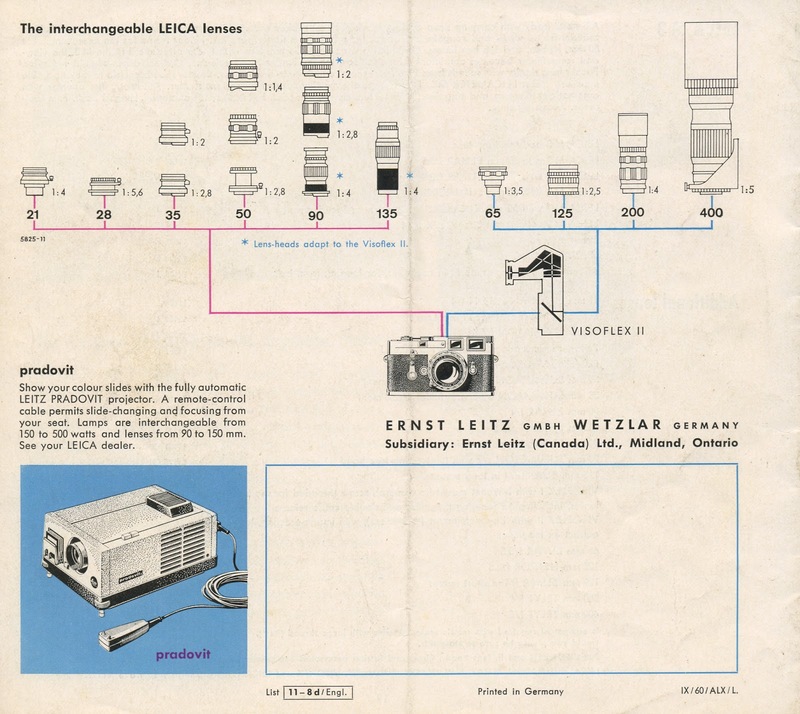 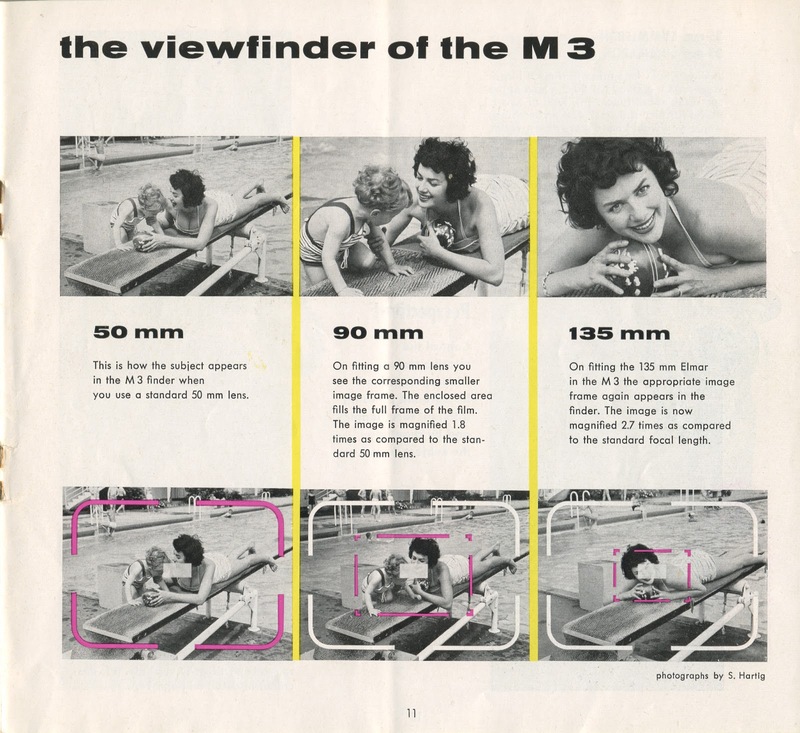 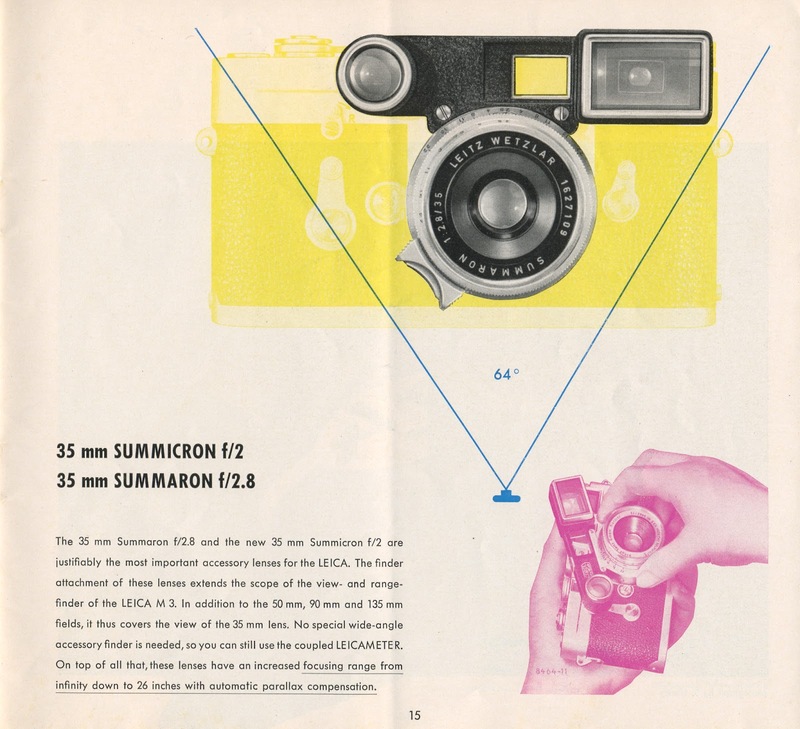 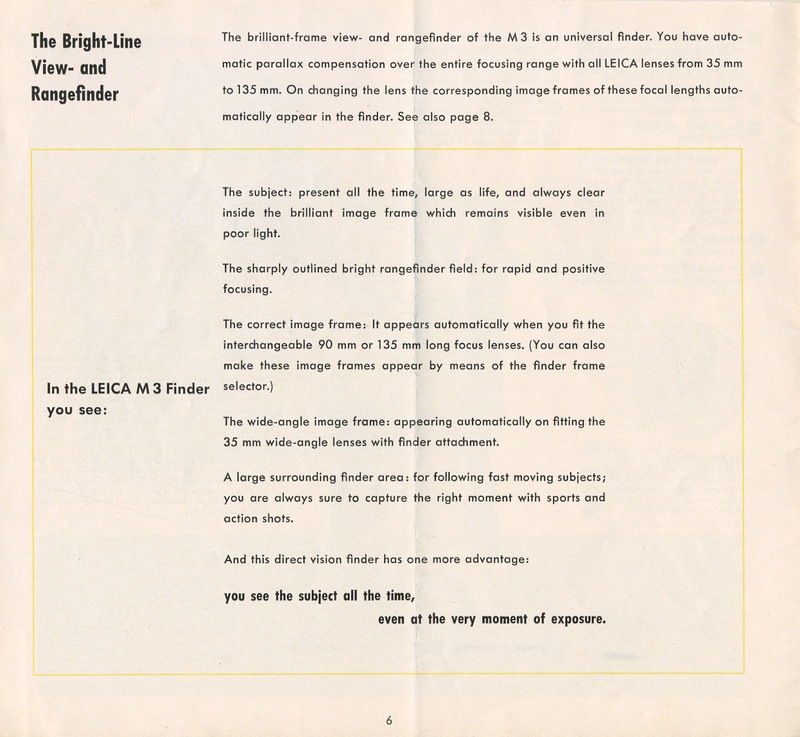 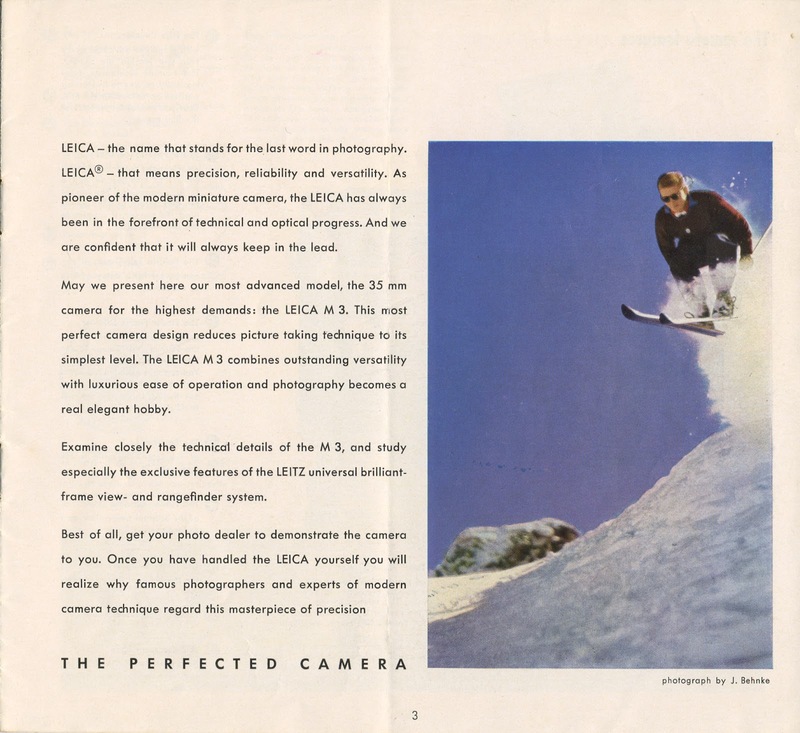 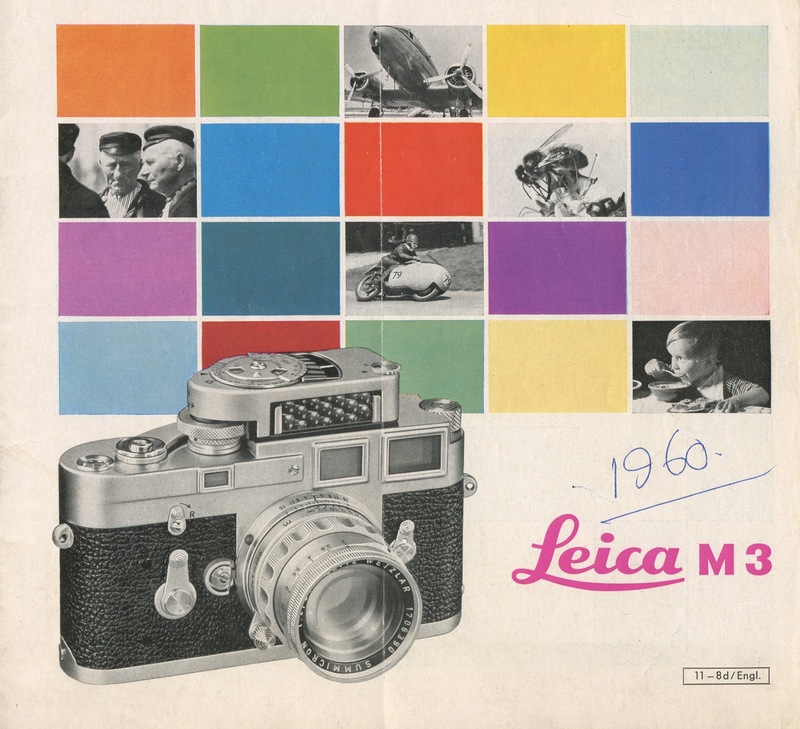 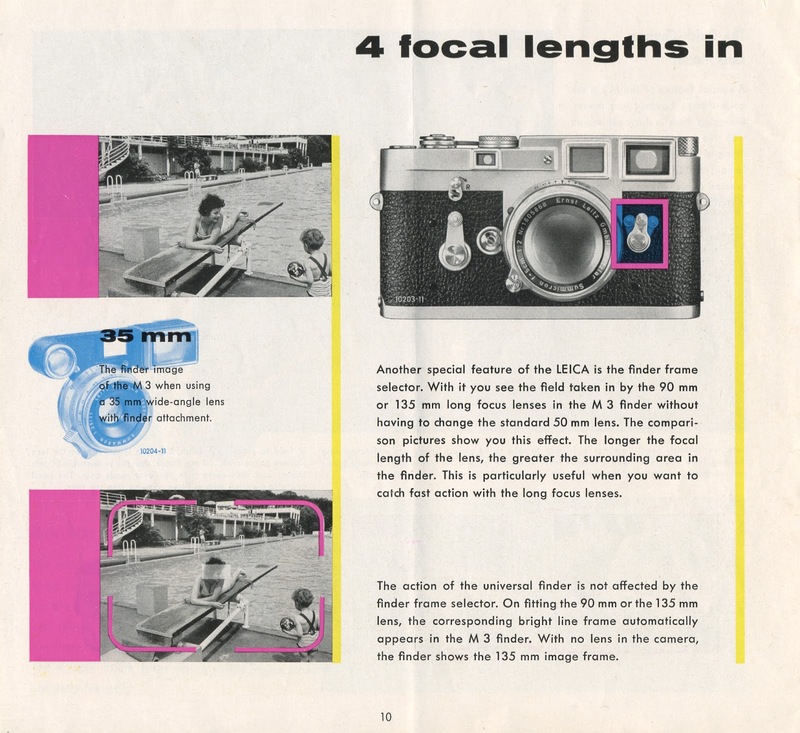 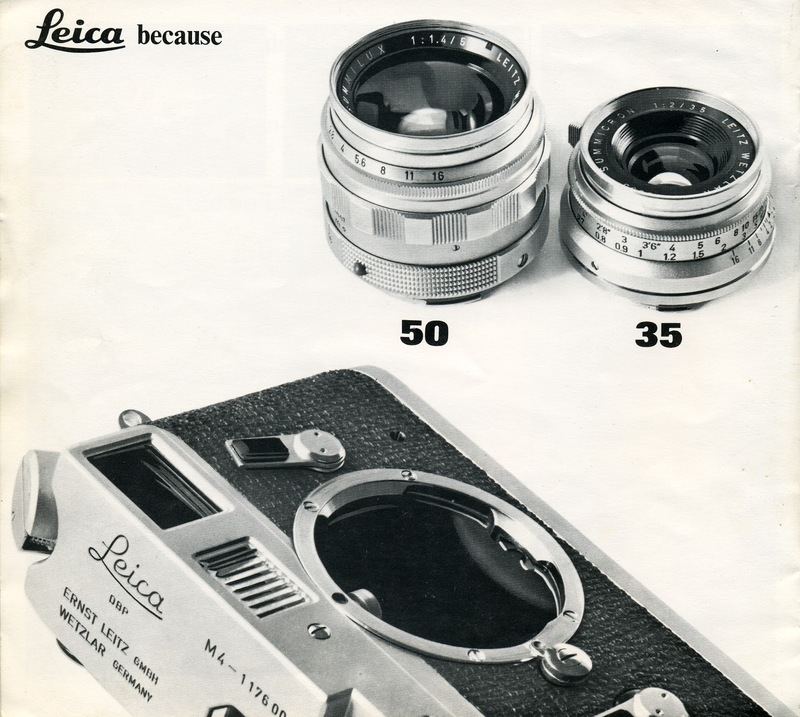 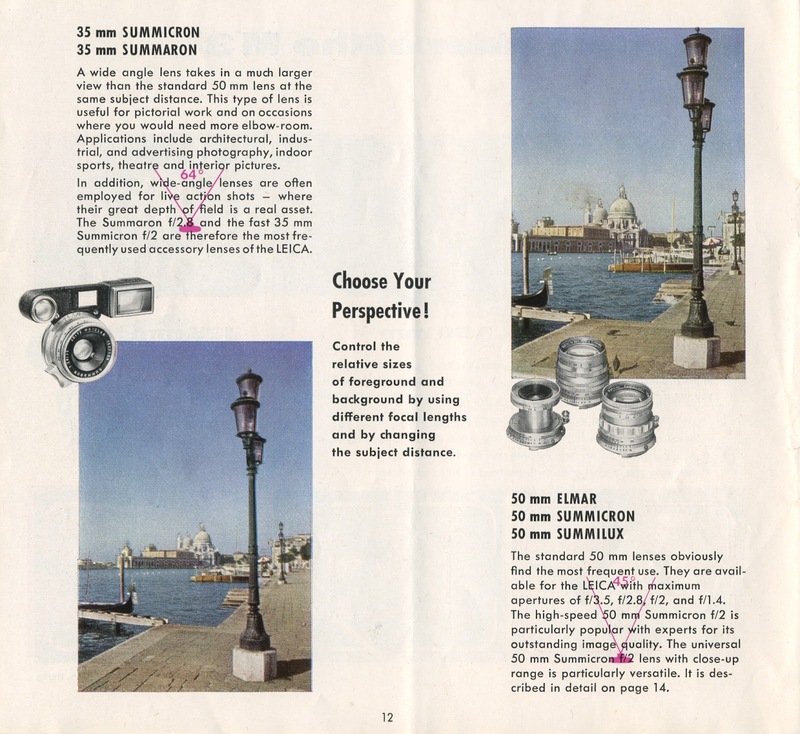 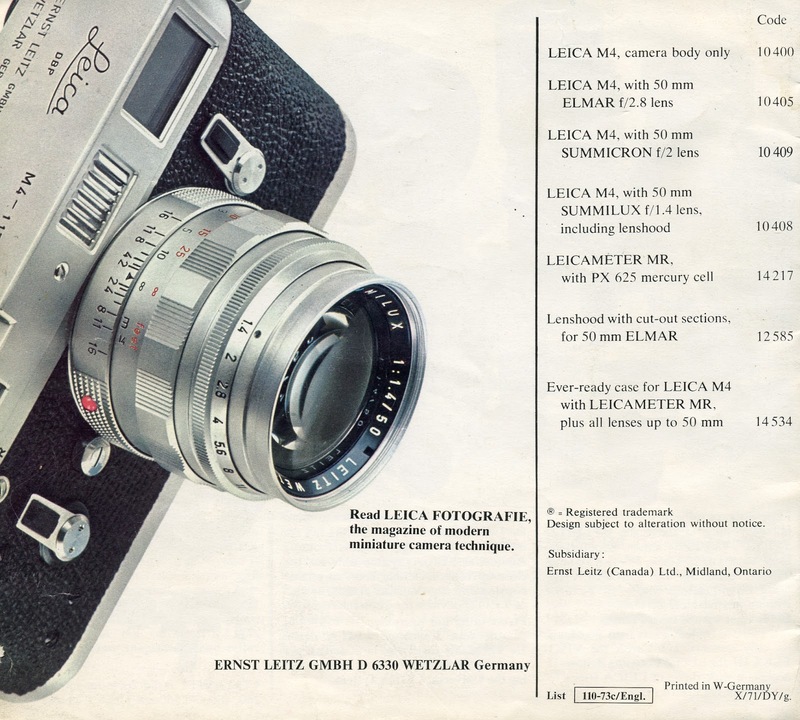 This entry was posted in Film photography, Leica Advertisements, Leica Film camera, Leica M3 and tagged Elmarit, Leica M, Leica M3, Leica M3 brochure, Noctilux, Summicron, Summilux, Tele-Elmar, Tele-Elmarit on December 4, 2014 by Leicaphila. 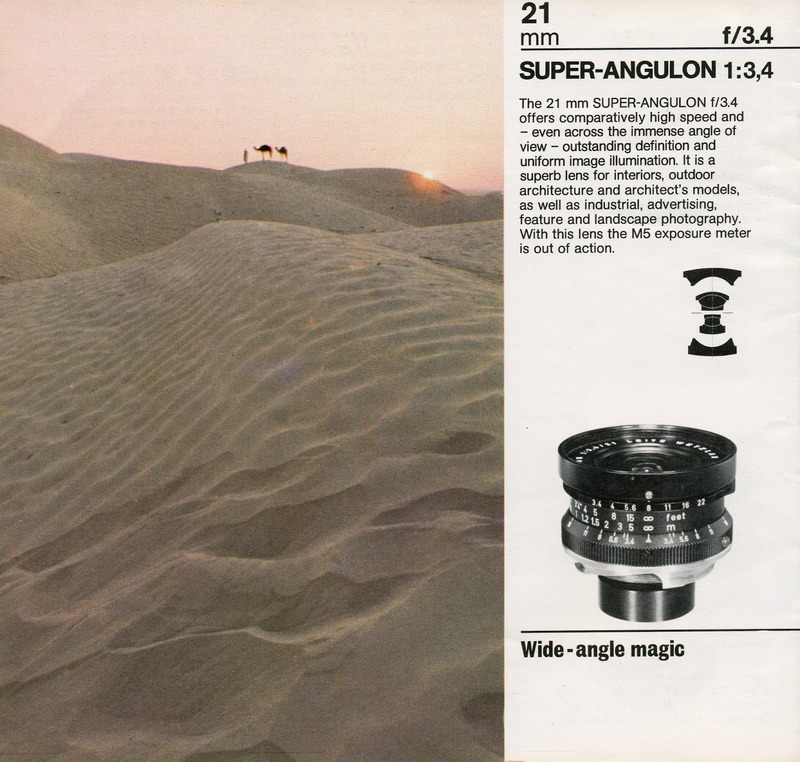 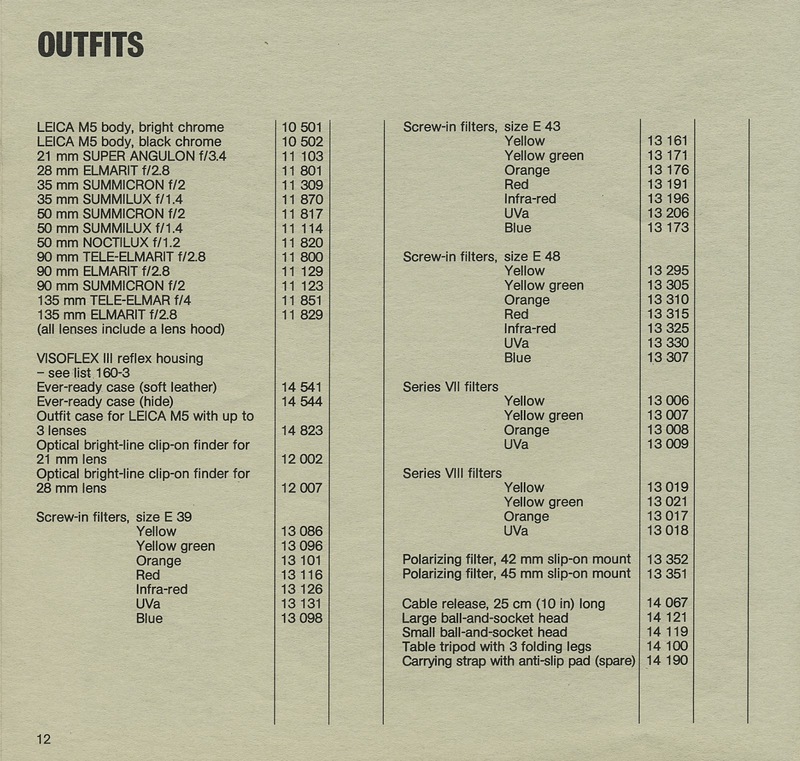 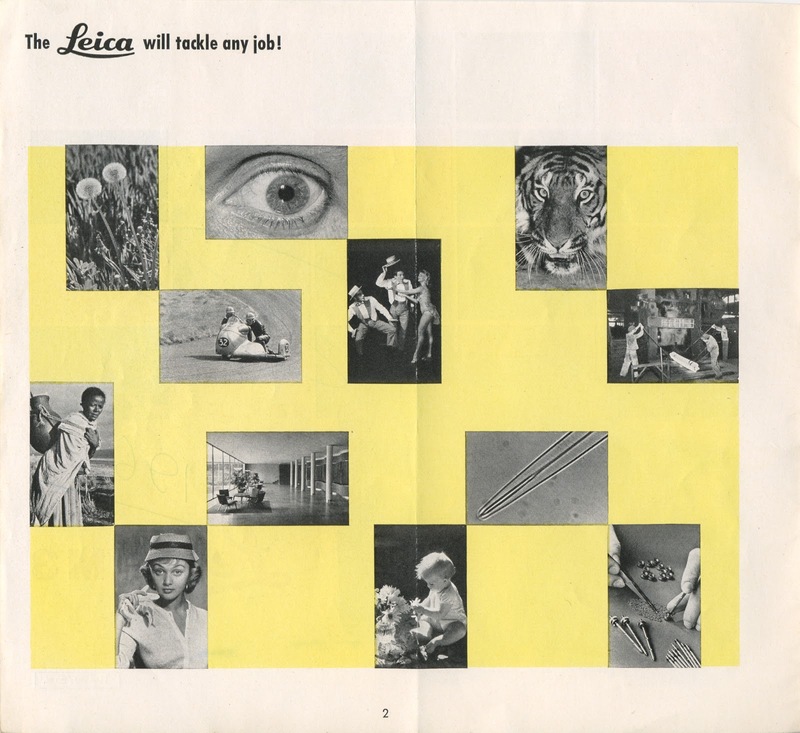 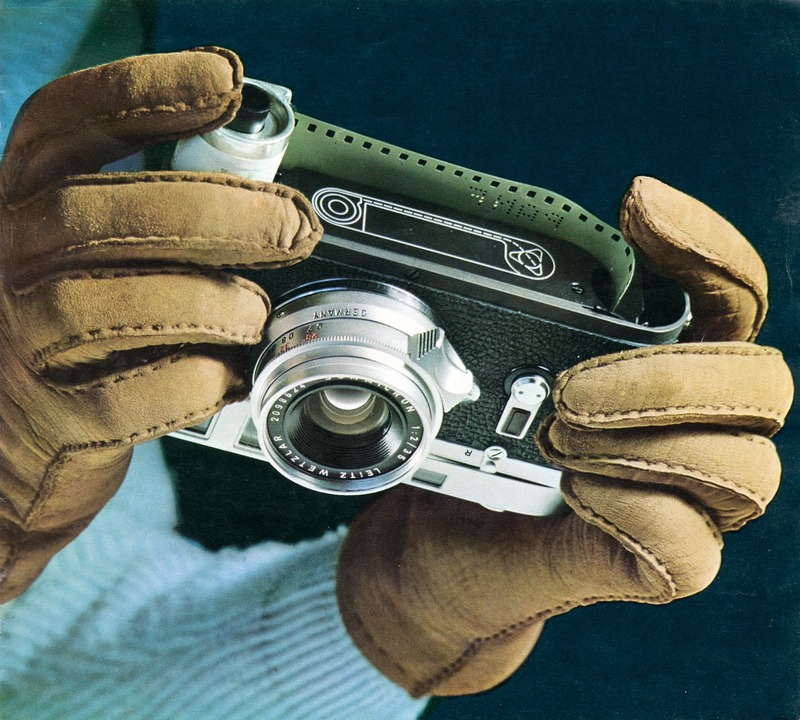 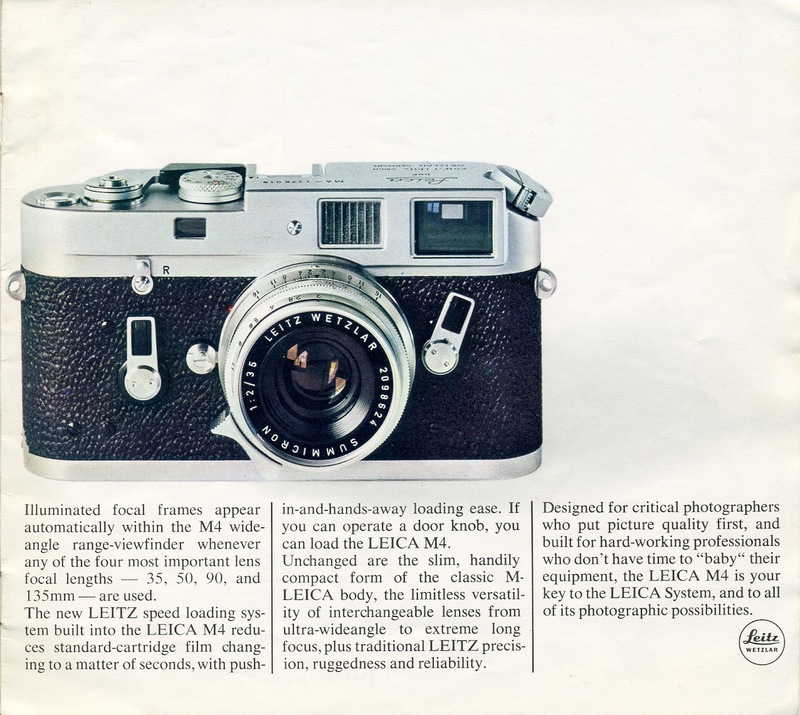 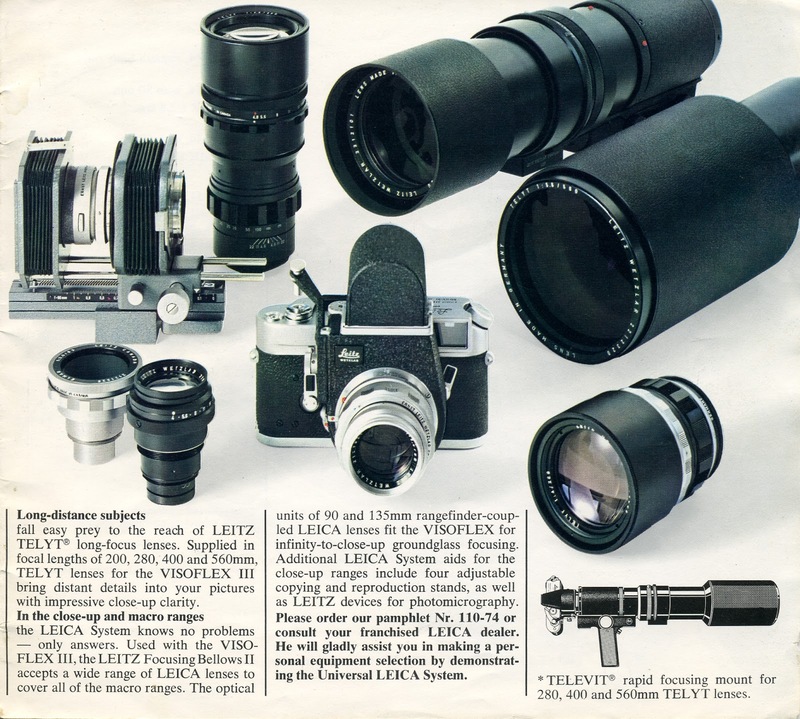 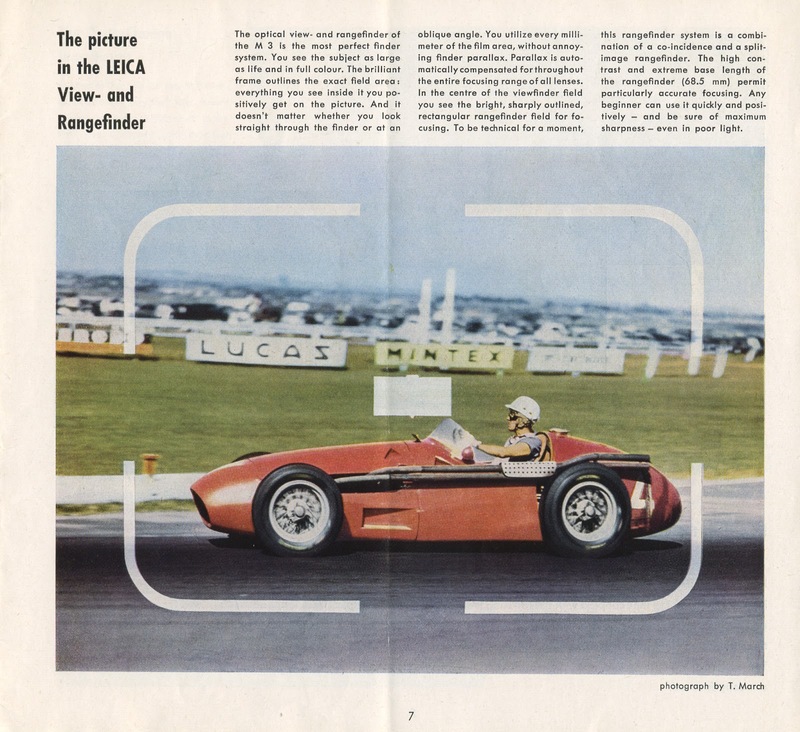 This entry was posted in Film photography, Leica Advertisements, Leica Film camera, Leica M5, Leitz Lenses and tagged Elmarit, Leica M, Leica M5, Noctilux, Summicron, Summilux, Super Angulon, Tele-Elmar, Tele-Elmarit on December 1, 2014 by Leicaphila.